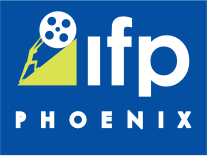 Hey Phoenix Fim Fans! Another film that played at this year’s festival is opening in theaters nationwide this week, “The Kings of Summer”, directed by Jordan Vogt-Roberts. This film was also nominated for the Grand Jury Prize at the 2013 Sundance Film Festival but has a local connection to the Valley. Vogt-Roberts is a former Phoenician, not living and working in Los Angeles but it’s always exciting to see indie filmmakers get their first theatrical release. Another school year has ended and Joe (Nick Robinson) is dreading being at home with his father, Frank (Nick Offerman). The relationship between the two has been extremely strained since his mother passed a way as Frank tries to micro manage every aspect of Joe's life. Joe's best friend Patrick (Gabriel Basso) has equally overbearing, if not more intrusive, parents who love to capture every moment of their precious boy's life. While walking home from a party one night through the woods, Joe and fellow school mate Biaggio (Moises Arais) stumble upon the perfect spot to build their dream home, a clearing large enough to hold a large place, yet hidden in plain sight. After yet another disagreement with his father, Joe convinces Patrick to move out for the summer to the house they built in the clearing. This gives them the chance to live without the hovering and nagging of their parental figures and to have the most epic summer ever. Joe and Patrick gain a housemate out in the woods, the unusual classmate Biaggio who is just bizarre enough to be cool. Now that the three young men have their new found freedom, will they be able to last the summer or will fate, the elements or teenage angst step in to wreck their plans? It's very rare when you leave a theater, and you're first thought is that you would go back and sit through the film again because you left feeling happy about a film just viewed. Following in the footsteps of films such as "Stand By Me", Ferris Bueller's Day Off", "Goonies" or "The Breakfast Club", Jordan Vogt-Roberts has captured the essence of film nostalgia that make going to the theater fun again. Screenwriter Chris Galletta penned a brilliant script which Vogt-Roberts and Cinematographer Ross Reige help recreate the world of teenagedom with amazing artistic shots, fantastic characterization and brilliant performance from its young cast. This is a must see film of the summer as these are names you want on your radar for future filmgoing excursions. Be sure to check out "The Kings of Summer" when it opens in Phoenix starting Friday June 7, 2013.